Students are learning spatial analysis and spatial thinking at the SOS-Hermann Gmeiner International College in Tema, Republic of Ghana. 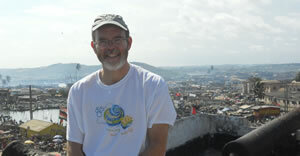 In 2012, I was named Esri's first education ambassador. Michael Gould, global education manager at Esri, had approached me earlier in the year about a pilot program the company was creating to introduce GIS to secondary students living in developing countries. In my new role, I traveled to the Republic of Ghana last October to teach for a week at SOS-Hermann Gmeiner International College (SOS-HGIC) in Tema. 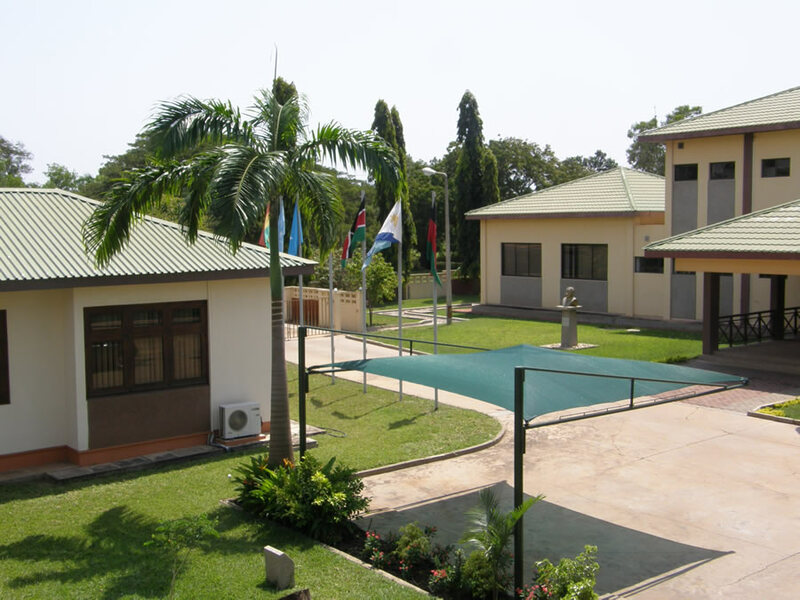 The college is a project of SOS Kinderdorf International, which helps prepare students with promise from SOS Children's Villages in Africa to enter educational institutions of higher learning. Kinderdorf is the world's largest charity organization dedicated to sheltering orphaned and abandoned children. Prominent supporters include Nelson Mandela and the Dalai Lama. Stephen Bempah Owusu, a teacher in the Information and Communication Technology (ICT) department at SOS-HGIC, and James Annan-Aggrey of Sambus Company Limited had teamed together earlier in 2012 to introduce GIS concepts to the students at the college so that they would have some familiarity with the technology before I arrived. Sambus is a longtime Esri distributor and a supporter of GIS initiatives in Ghana. 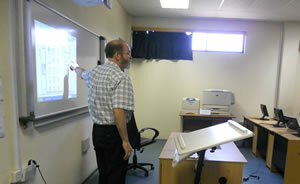 Bob Kolvoord taught GIS concepts for one week to students and teachers at the college. While GIS has been used for some time across the African continent, there have been few inroads in teaching it to primary and secondary students. With support from Esri, SOS-HGIC, and Sambus, we wanted to reverse this trend. As an advocate of using GIS in K–12 education in the United States, I was excited to have the opportunity to work with students abroad. My overall goal was to help them build their skills in GIS and, more importantly, spatial thinking and analysis. "The great thing about GIS is that it provides a good and practical example for showing convergent technologies and concepts in ICT," Owusu said. "It fits into our study of networks, GPS, databases, and modeling and simulation [along with] many other concepts that are taught in both our IGCSE [International General Certificate of Secondary Education] and IB [International Baccalaureate] curricula." 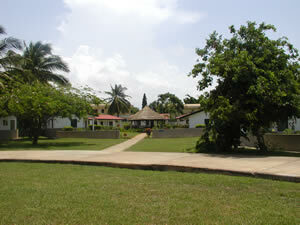 Students from many African nations attend the SOS-Hermann Gmeiner International College. I taught a GIS class consisting of 21 students and 10 staff members from SOS-HGIC and 6 teachers from three local high schools. The teachers plan to use GIS to give students the opportunity to explore the technology's many uses. I began the week by introducing the class to ArcGIS. Some of the students and teachers had received the earlier GIS training, but for many in the room, this was their first taste of geospatial technology. One challenge I have found in working across cultures is locating the data and examples that best connect with my audience, but world demographics were a big hit with the young people and adults, especially when we focused on African countries. The students live in hostels located near campus. One of the interesting things about SOS-HGIC is that students come from a variety of countries within Africa. Our group included students from Ghana, Burundi, Ethiopia, Lesotho, Malawi, and South Africa. This diversity enlivened discussions, especially whenever the group compared Ghana's economy and health demographics with that of its African neighbors. As the students identified patterns and looked for possible explanations, basic spatial thinking skills were being reinforced. While the students worked through the basics of vector and raster GIS functions, including map layouts, queries, and symbology, they also learned about GPS. Along with global data, we were fortunate to have local data from Sambus. The students could work at a variety of scales and create maps of the areas in which they live. 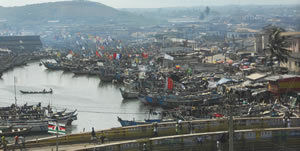 Bob Kolvoord visited the harbor at Elmina, a city southwest of Tema. "The whole GPS/GIS training program was educational for me, especially because we were dealing with things I could relate to as a geography student," said one participant. "The data analysis and selection tools that we learned about got me thinking about the advantage it could provide to me to work in multinational and government agencies." I encouraged the teachers to consider using geospatial technologies in the classroom and preview curricular materials, and I showed the students how to do more advanced geospatial analysis. The students enjoyed using the solar radiation tool in ArcGIS Spatial Analyst to explore the variation in solar exposure in an equatorial country, such as Ghana, compared to the much more northerly latitude of my home state of Vermont. We then discussed the solar potential of Ghana and whether the country could export sun-generated electricity to other countries. 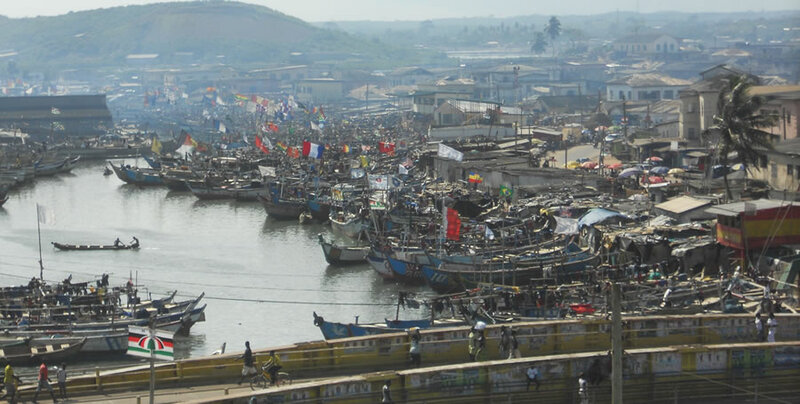 Fishing is a major industry in Elmina. As to the future of using GIS in teaching, Owusu said it will now happen regularly at Hermann Gmeiner International College. 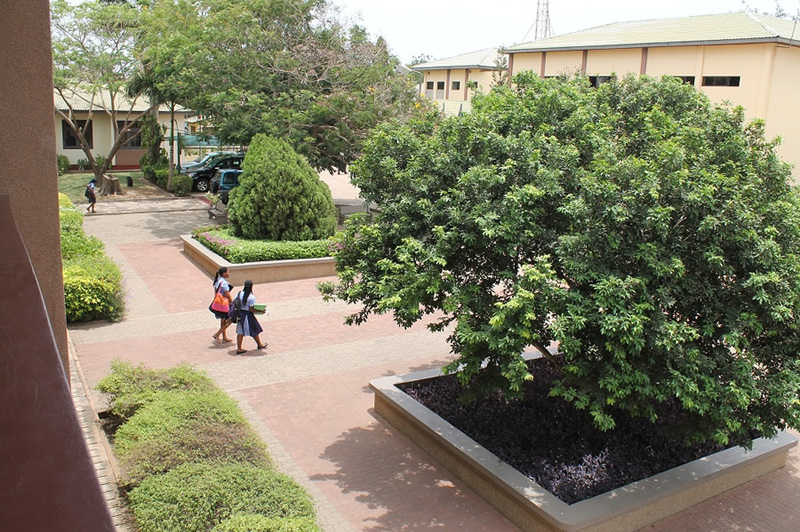 "The use of GIS in classes at the college will become a regular part of delivering curriculum," Owusu said. "In addition, the possibility of running a weeklong program for more students to appreciate the use and benefits of thinking spatially during the summer break is being explored." For all of us, the class provided a step into a new world. For the students and teachers, it was the world of GIS. For me, it was a new continent and different culture. I think each of us has had our world made just a little bit bigger.